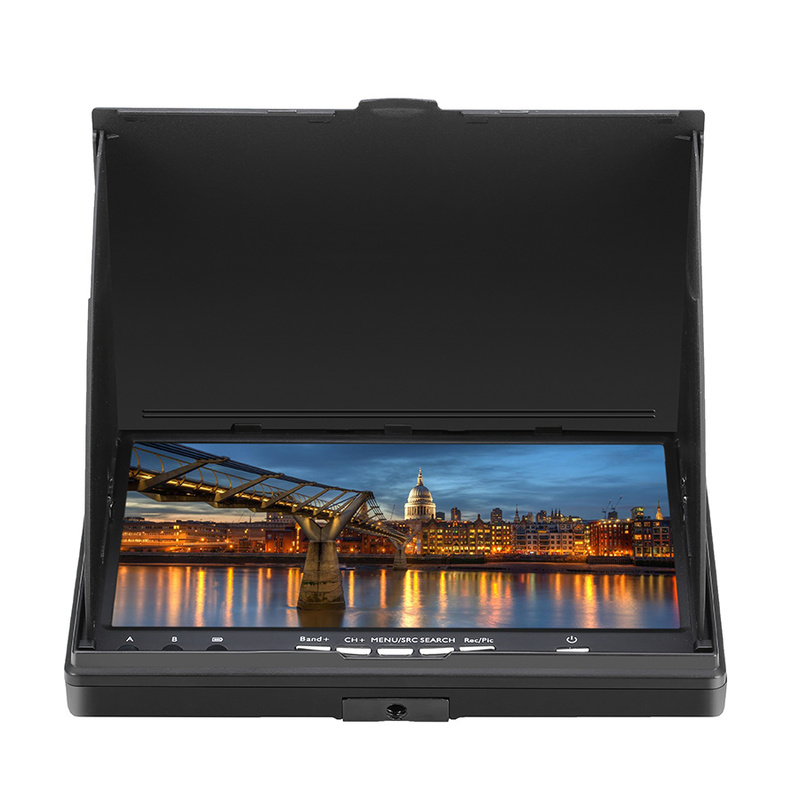 This is a great 7-inch monitor with a built-in 5.8GHz dual diversity receiver so that you receive the best reception. This monitor also has a built-in DVR function and a built-in, rechargeable battery making this monitor one of the most practical in the field. It has a 800*480 resolution with a brightness of 600cd/m2 so it can be easily viewed outside on the sun. A great monitor to view your FPV feats on!